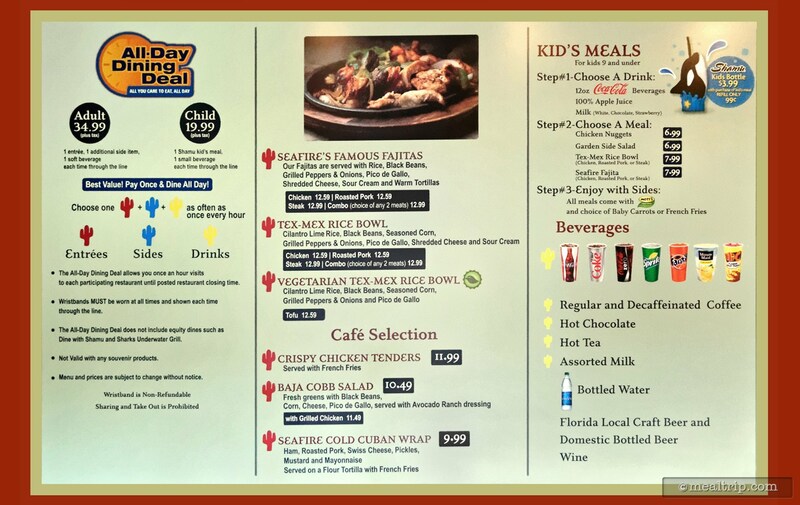 The Seafire Inn / Seafire Grill listing is a Counter Service (quick service) dining location at SeaWorld Orlando featuring Tex-Mex cuisine. There are 14 photos in the Mealtrip photo gallery for this location and dining period. 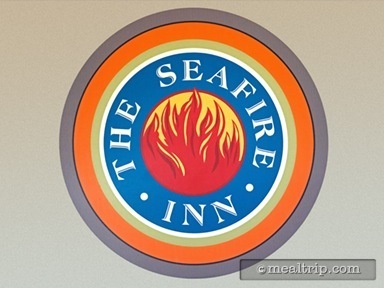 The Seafire Inn / Seafire Grill listing currently has a score of 49 out of 100. 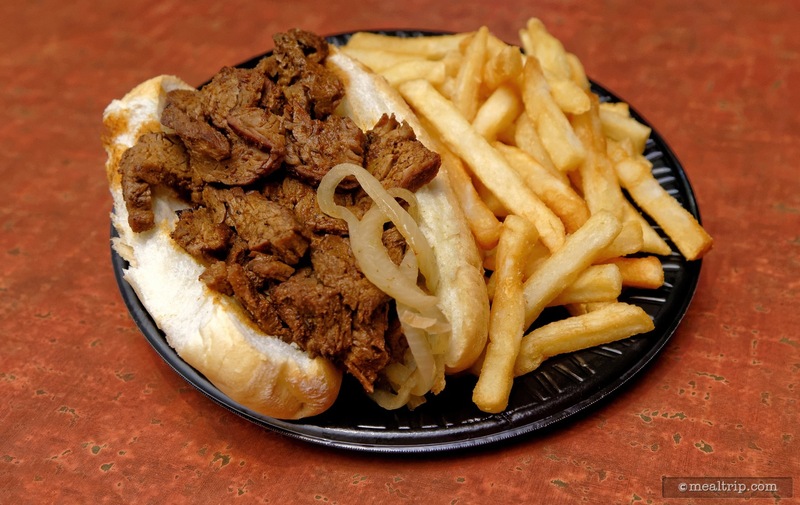 Click here to read all of the reviews for this location, or log in to Mealtrip.com to add your own review for Seafire Inn / Seafire Grill. 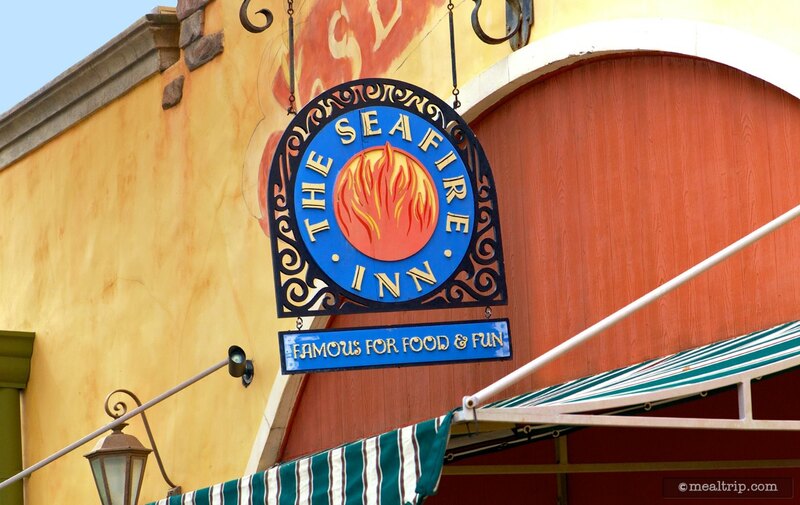 Seafire Inn sign above the front entrance. 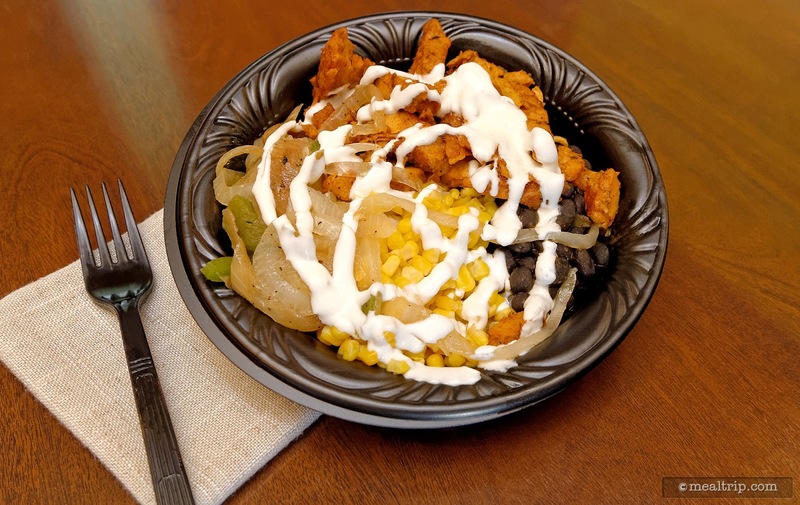 In early 2015 SeaWorld Orlando's Seafire Inn switched to a Tex-Mex style of cuisine. Pictured here is the Tex-Mex Rice Bowl entrée, which is basically Fajita fixings, without the Fajita. The bowl is made to order, so if you're not a fan of the sour cream, you can ask for it to be left off. 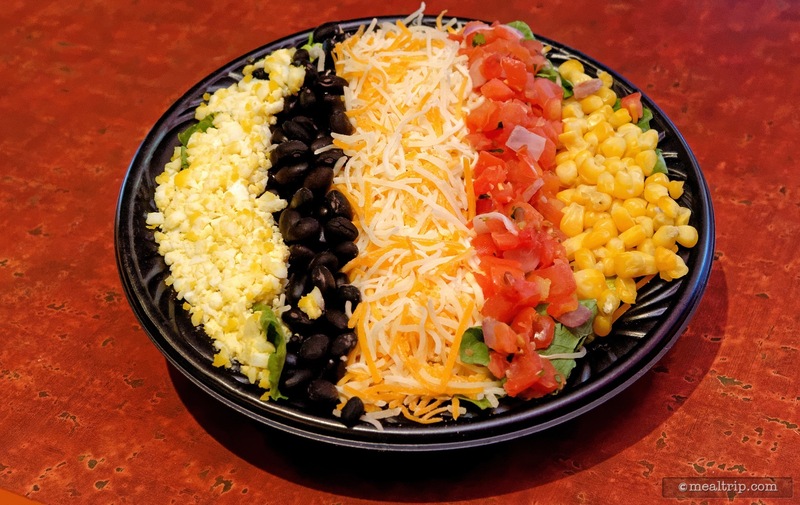 The Baja Cobb Salad features fresh greens with Black Beans, Egg, Cheese, Pico de gallo and is served with Avocado Ranch dressing (in a cup to the side). 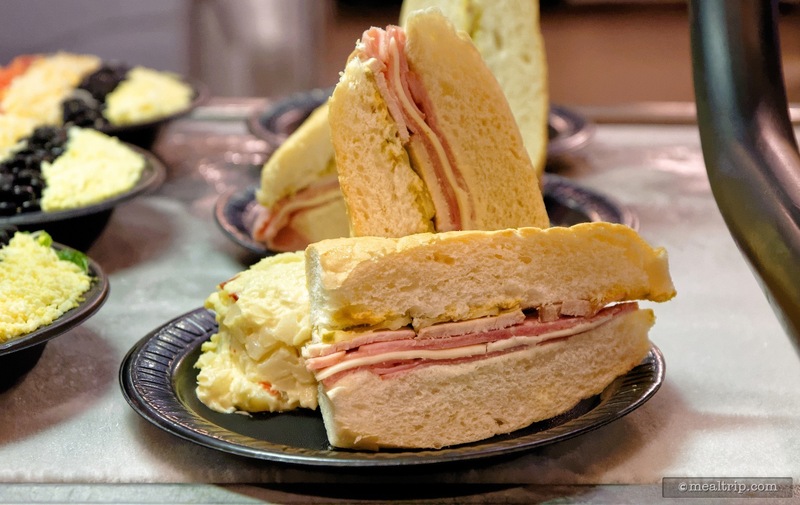 The Seafire Cuban Sandwich is served cold and contains Ham, Pork, Swiss Cheese, Pickles, Mayonnaise and Mustard. It's plated with Potato Salad. The sandwich is one of the few items at Seafire Grill that is not on the "All Day Dining Deal" program. This is the "Side Salad" at The Seafire Grill. 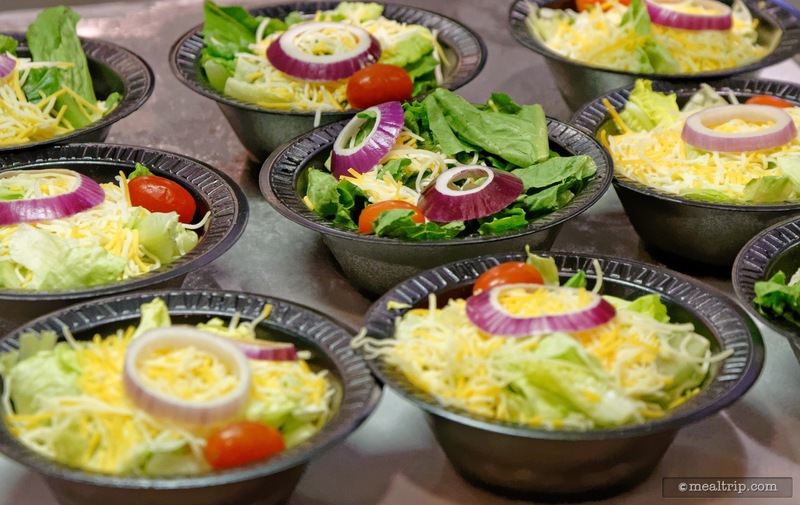 You can usually find similar side salads at other restaurants at Sea World. 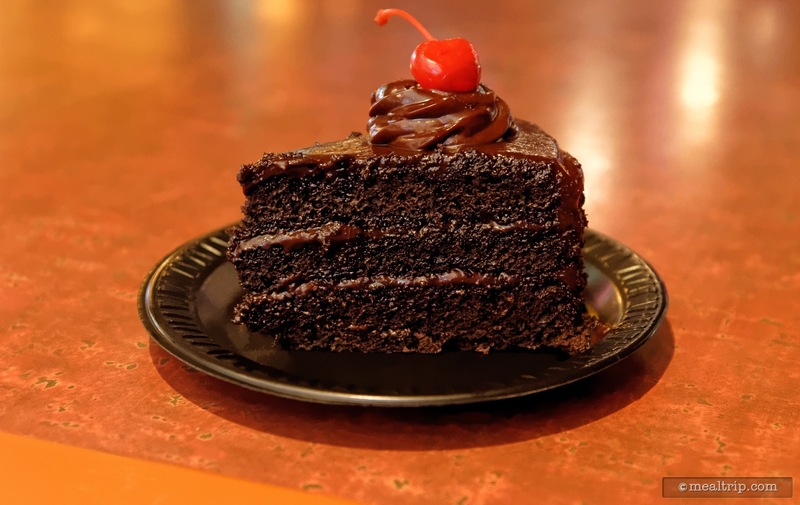 The Chocolate Cake that can be found at several SeaWorld, Orlando counter-service locations is a guest favorite. The three layer cake features an almost ganache-like chocolate frosting. 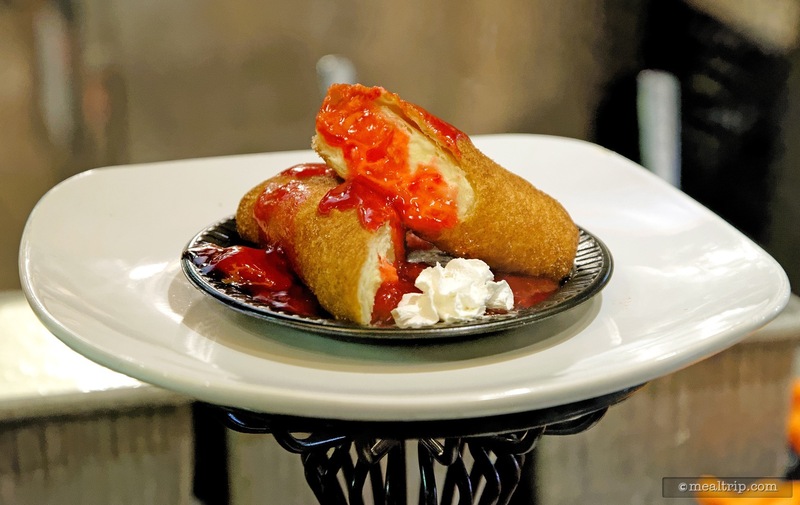 The Fried Cheesecake sticks with Berries and Cream are unique to the Seafire Grill. They can not be found at any of the other dining locations at Sea World, and are not on the All-Day Dining Deal program. 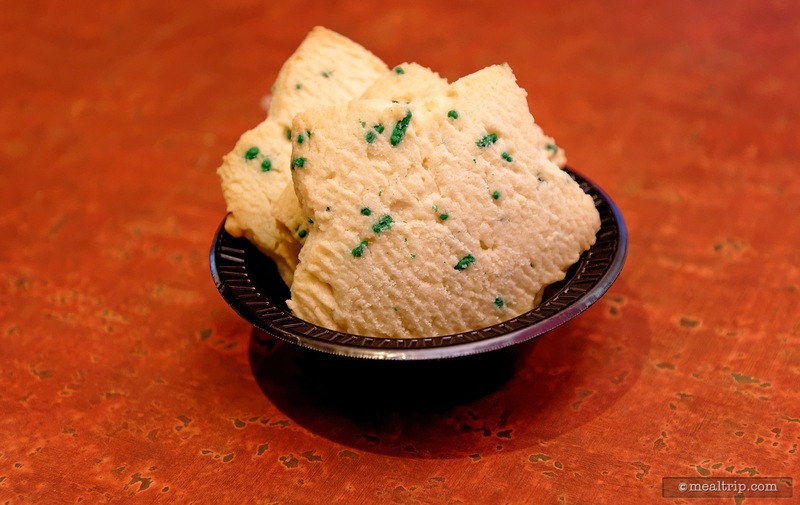 The "Holiday Cookies" at SeaWorld Orlando were shaped like snowflakes for the 2015 holiday season and could be found at most dining locations. 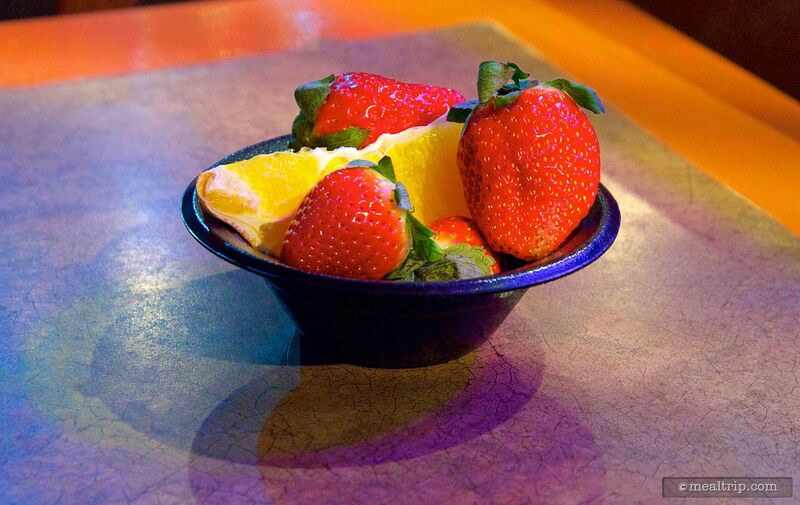 The Fresh Fruit Cup is considered a "side" item. 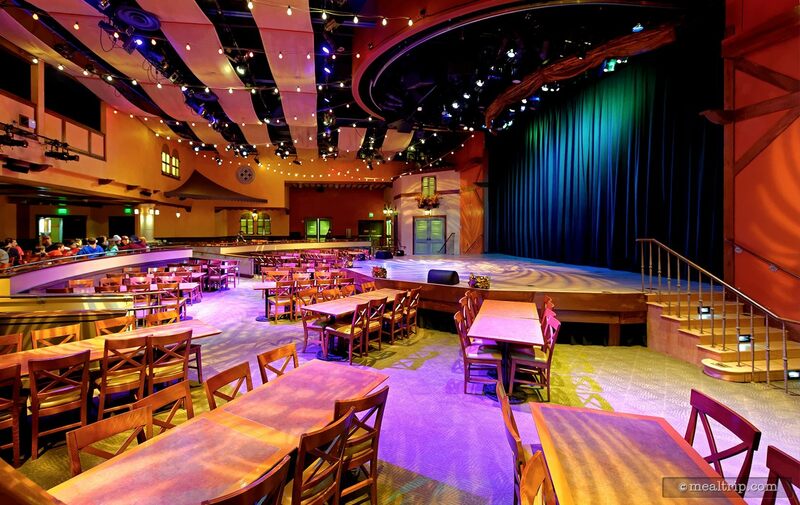 Usually during lunch hours, the adjoining "stage" room is open for Seafire Inn guests to dine in. This area has been used for various shows and experiences over the years. 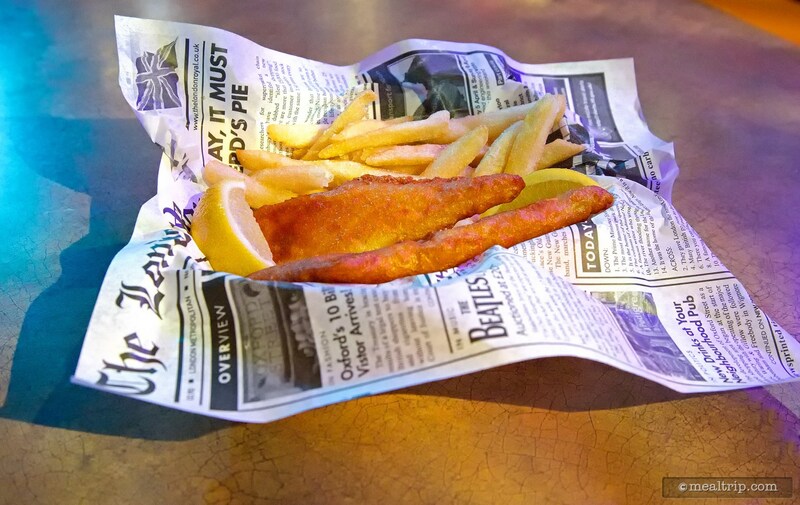 Prior to 2015 the Seafire Inn had been serving more cafe-style items like this Fish and Chips basket. This little basket is no longer available. 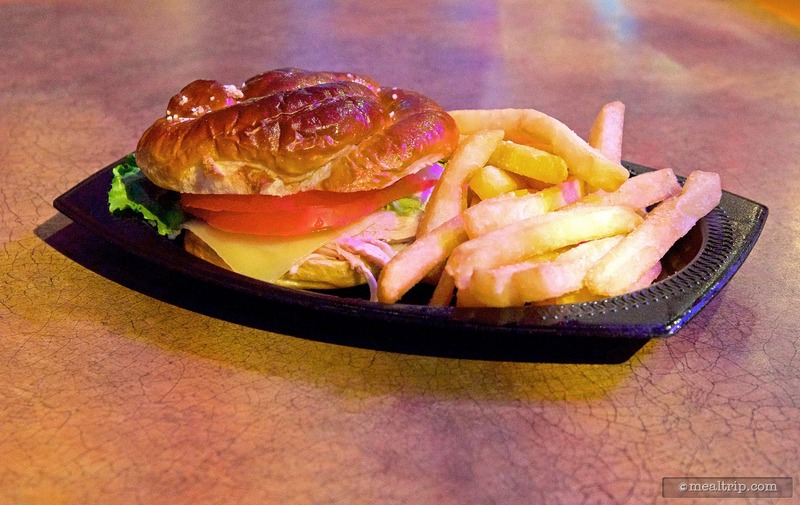 The Seafire Inn's Hand Carved Slow Roast Turkey and Swiss Sandwich served with fries was considered the location's "signature item" prior to 2015. The sandwich is no longer available as the restaurant has switched to Tex-Mex fajita-based offerings.